Please first click Channels / Website from the upper menu. Please click Pages / Add a Link from the left hand side. In the dropdown menu, please enter the title, link and permanent link settings and then click the save button. Other fields include fields you are recommended to complete for your SEO activities. 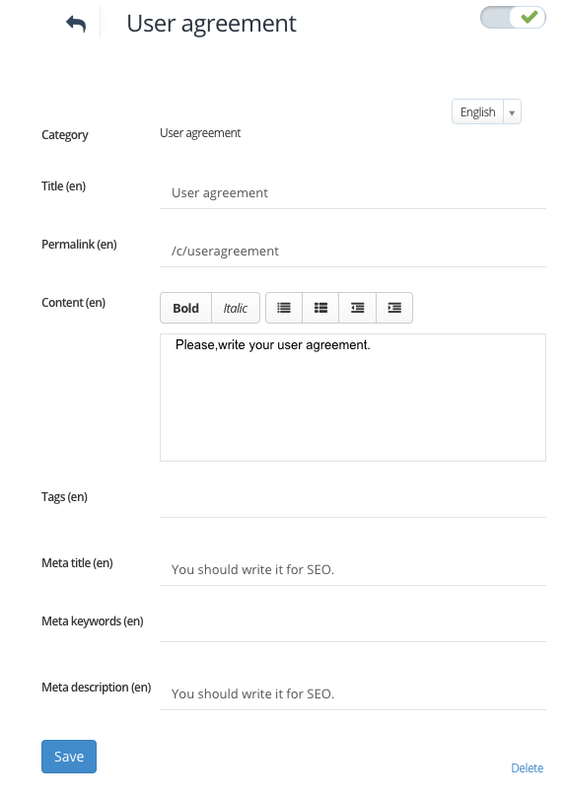 After entering the tags, meta title, meta keywords and the meta definition, please click the save button. To add the permanent link you have created, please click My Property / Profile / Settings. 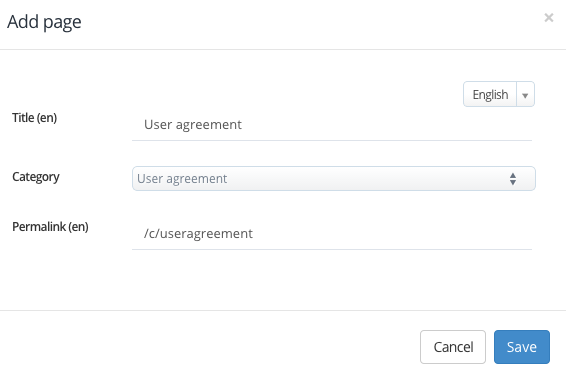 Please type the permanent link in the user agreement field at the bottom of the page and then click save.